Belgium beat five-time World Cup champions Brazil 2-1 in Kazan on Friday to qualify for the World Cup semi-finals in St. Petersburg on Tuesday, where they will face the 1998 winners: France. 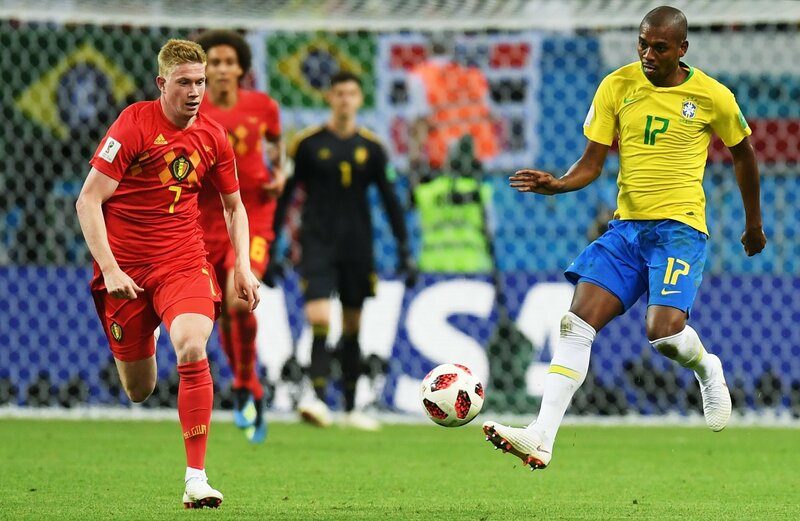 The match began with a series of fierce strikes by both teams and during a Belgian attack in the game’s 13th minute, Chadli made a complicated strike and Brazilian midfielder Fernandinho scored an own goal after he deflected Eden Hazard’s corner into his own net to give Belgium the lead, 1-0. — Bharat Barad (@bharat_barad) 6 июля 2018 г. However, Belgium was proceeding to put the pressure on the Brazilian players and after a swift attack, midfielder Kevin De Bruyne scored the second goal in the 32nd minute, doubling his side's lead with a superbly taken ball that was drilled into the bottom corner from the edge of the penalty area. Goal by @DeBruyneKev. History in making for 🇧🇪. — Prayank (@prayanksingh25) 6 июля 2018 г. 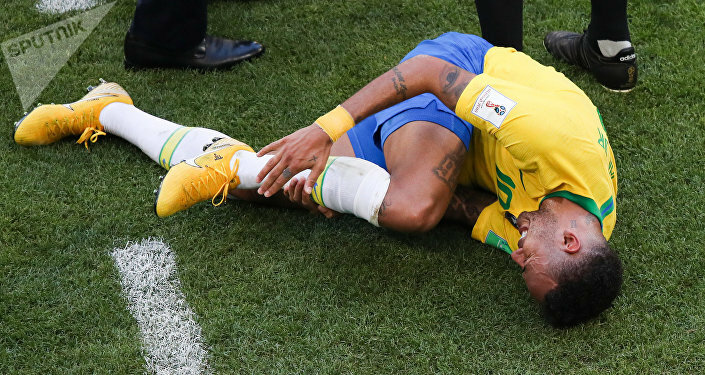 Despite their efforts, the Brazilian players could not successfully respond in the first half, as their charges met strong opposition by Belgium. In the second half, Brazilian midfielder Renato Augusto scored a powerful header to breathe life into chances for his team to make it to the semi-finals. Despite the best efforts of the Brazilian squad in the second half, the skilfull attacks by Neymar and Coutinho were spectacularly warded off by Belgium's defenders. 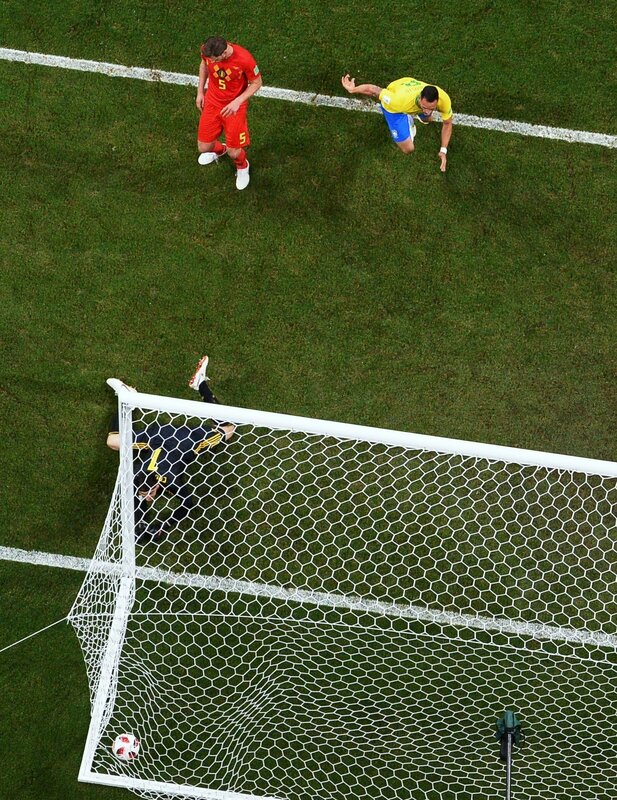 The legendary Brazilian franchise could not manage to equalize the score, even in stoppage time. Belgium midfielder Kevin De Bruyne was named the man of the match in Friday's World Cup quarter-final as he helped Belgium beat Brazil 2-1 in Kazan. This is Belgium’s 12th appearance at the World Cup, with their best performance being the fourth place they achieved in Mexico in 1986. In the round of 16, Belgium secured the upper hand against Japan, winning 3-2, while five-time World Cup winners Brazil bested team Mexico 2-0. Belgium will next face France on Tuesday in St. Petersburg in the first semi-final. The winner of the Russia-Croatia encounter will face either England or Sweden on Wednesday at Moscow’s Luzhniki Stadium. It is now certain that the 2018 World Cup will be won by a team from Europe as the last country from outside the continent — Brazil — was knocked out of the tournament. The last time the semi-finals were played out by four European teams was at the 2006 World Cup in Germany. The FIFA World Cup quarter-final match between Brazil and Belgium, which took place at the Kazan Arena on Friday, was played in front of a sold-out crowd of 42,873 fans, FIFA said via their official Twitter account.